5th Birthday Assembly with Karima Masri - Stay for Cake & Lunch! With immigration in our news cycles, seemingly now more than ever, many of us may think we have a good handle on our nation's immigration laws and how they are applied, fairly or unfairly. However, what each of us thinks we know about the laws may very well be inaccurate. Karima Masri, a San Diego immigration attorney specializing in removal proceedings, family based immigration, and humanitarian applications, will lay out the basics for us, to both inform us and remove misconceptions. She will address the practical steps we Americans can take to help immigrants today and tomorrow. 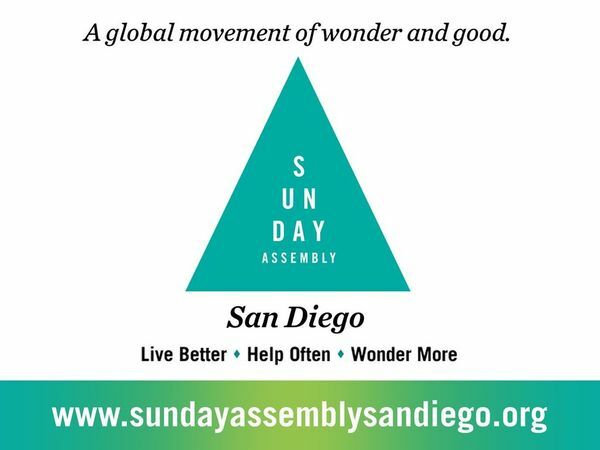 Sunday Assembly San Diego is a radically inclusive secular community that meets monthly to hear inspirational talks, connect for service projects, sing songs and generally celebrate life. Assemblies are free to attend, and everyone is welcome. Stay after the assembly for coffee, snacks and to hang out with other assemblers!